For this once in a lifetime gorilla tracking experience, muleni Safaris Uganda will need to buy your gorilla trekking permit in advance. Only 8 people per group are allowed to track each day. It is therefore necessary to book permits as early as possible. We strongly advise you book at least 3 months in advance to ensure that you can track on the requested date, especially if you plan to trek during the peak season (school holidays) or if you are in a large group. Uganda gorilla tracking permits cost USD $600 per person in high season and USD $450 per person in low season (April, May and November). Prices may increase in 2018. Uganda gorilla tracking permits are issued by the Uganda Wildlife Authority (UWA) and always must be fully paid for in advance. 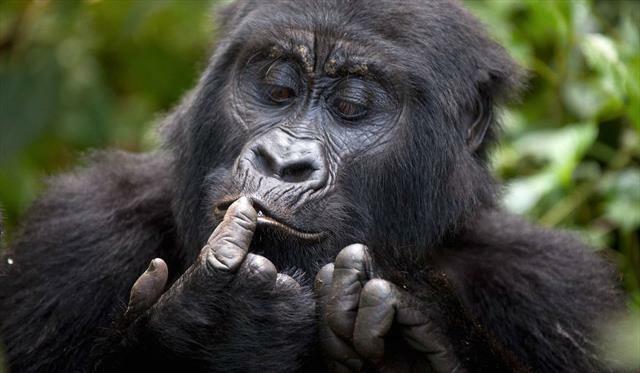 The costs of Rwanda gorilla tracking permits is currently USD $1,500. They include park entry fees and must be paid for full in advance. Rwanda gorilla tracking permits are issued by the Rwanda Development Board and will be purchased on your behalf by Muleni Safaris Uganda. Any visitor who shows signs of a communicable illness (such as a cold or flu) will not be allowed to join the gorilla tour. If a visitor is declared unfit to track due to illness, 50% of the gorilla tracking fee will be refunded, subject to the discretion of the UWA warden-in-charge. The cancellation policy will apply to visitors who fall sick prior to their travel to the parks. By following these rules and through the purchase of the gorilla trekking permit, YOU too are contributing to the conservation of the mountain gorilla. The wildlife authorities use the funds generated from the sale of your gorilla trekking permit to manage the national parks. Twenty per cent of park entrance fees are invested in local community projects for people living adjacent to the parks – across Uganda. Contributing to these communities’ development helps improve natural resource management and gives local people a direct and positive link to conservation and tourism.